As we take the lead in servicing garage doors and gates, we never stop helping our clients secure their residential and business properties. If our client is still not sure how gates work to provide safety and security, we then do the job of installing the right one for their most valued property. 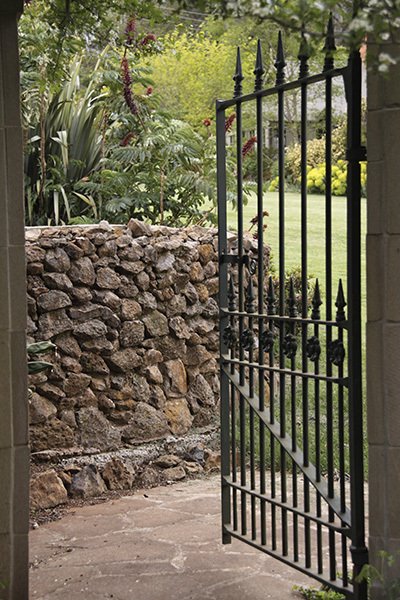 We offer a wide range of gate types and assist in choosing one that fits our client’s space and meets their taste. Troubleshooting for problems on installed gates is also one of our main concerns. We guarantee to provide the best gate repair services that would restore their quality and functionality yet meet the client’s budget at the same time. We have a team which specializes in programming an intercom system that is designed for easy installation as soon as you need it. Our intercoms come in different types, each suiting different needs that will ensure clear identification of visitors. We are also capable of repairing and upgrading existing intercoms to recover and optimize it to its full functionality. Whether it is a swinging or sliding gate, we are capable of installing technology that allows our clients to automatically access their gates with much convenience. With this also comes our capacity to repair sensors, motors, remote controls or any malfunctioning parts of automated gates. One way to control access to your place is through a fully functional alarm. We install gate alarms which serve as security warnings whenever suspicious activities occur or whenever a gate remains open for a pre-set time. There is no need to wait till a gate malfunctions. Preventive maintenance is conducted by our highly trained personnel to gauge the condition of your gates, whether it is an industrial or a residential one. We take preventive action to avoid a much expensive gate breakdown. Do you have any other gate problems? Name it, as we are here to find every way to help you get through it. We are always ready to serve our clients through our fast response system for all their garage door and gate needs. Our customer care is reflected through our dedication to provide on-time, affordable and quality service. Excellence, our utmost priority, is what we provide to our clients when it comes to garage door and gate needs. Contact us, we don’t want you to miss out the experience of enjoying our excellent service.